Excellent showing by Team American Sambo at the Dutch Open last weekend. My coach at Team Renegade, Anthony Sansonetti, won the Silver, and three other Americans on the team won Gold. I'll be interviewing Anthony this week and he'll demonstrate some of his finishing techniques he used in the matches. Way to go, Team America! Here's the highlight video of their matches. Talk about flexible! 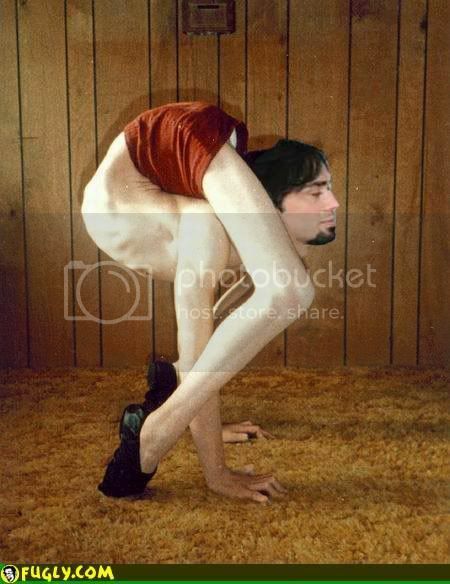 This Eddie Bravo student could be the most flexible man on the planet. Even on the Tenth Planet. He had Eddie oohing and ahhing over some of the tricks he was performing on himself, including a double arm triangle. This was amazing to watch, considering it's a struggle for me to even bite my own toenails, not that I would. 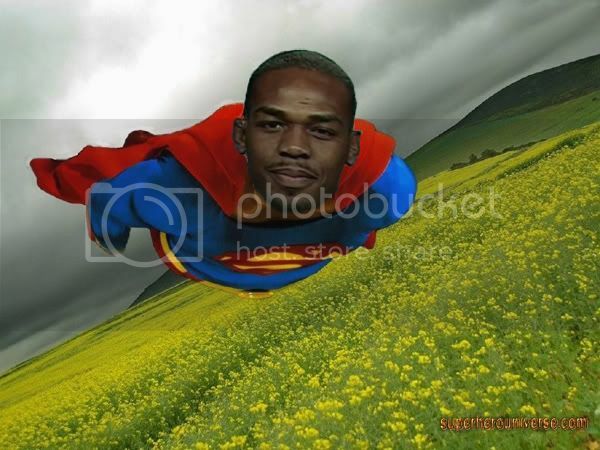 Jon "Bones" Jones has been called a "superhero" by Joe Rogan due to his combination of MMA and crime fighting skills. Jones went over to Patterson, New Jersey on the day of his title fight with Shogun Rua to meditate in front of the waterfall in a park there. As he was getting out of the car, he noticed an older couple who were running after a mugger. Jones and his team took off after the fleeing criminal, caught up with him and held him for the police. In the following video, Jones recounts the story of his superhero exploit on that fateful day. Bas Rutten is picking Jon Jones to beat Shogun Rua tomorrow night in Newark, NJ at UFC 128. The oddsmakers also have Jones at nearly a 2-1 favorite, which has to make Jonny Bones feel good and even more confident. 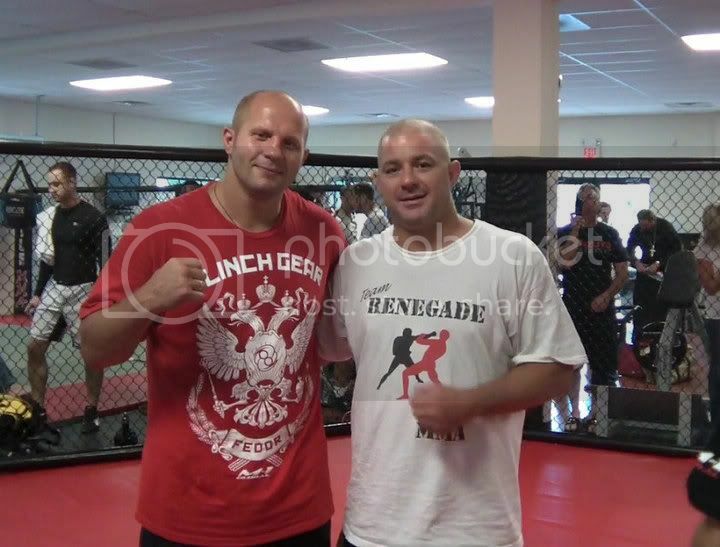 For his part, Shogun is fired up and really wants the MMA world to see that he is still the man at LHW. This fight is going to be explosive. Check out Bas's prediction after the jump. It's that time. UFC 128. Shogun. Bones. The Baldfather. The Video logs. Dana is rich and has a big jet. He flies to New York to support the rally to legalize MMA. Small children in sweatpants. Dana's been short on time and shows clips from the UFC on Versus 3 show, which is kind of like copying someone else's homework. I'll allow it. He's sitting cageside watching replays on a row of monitors, which makes me wonder if the judges used them in Kentucky like they're testing in California. Joe Rogan uses profanity in an extreme close-up. There's been a lot of buzz in the MMA world surrounding Jon Jones and Rashad Evans, his teammate at Greg Jackson's. At first both men said that they'd never fight one another, but recently both men backed off those statements and things got a bit heated. I absolutely hate when people mention Rashad Evans For people to even be mentioning Rashad Evans right now, I think it's ludicrous. Rashad is not in my mind. He's not in my being. He has absolutely zero to do with my heart and who I am right now. ... From here on out, I won't even answer a question about Rashad. Those sound like fighting words. It's kind of messed up, to be honest. ... Sometimes when you talk and you say certain things, you open your mouth and you show what you're afraid of, more than anything. I don't know why he has such an adverse response like that to me. I never challenged him or tried to make him feel he would have to be like that towards me. But at yesterday's conference call, Jones praised Evans and credited him (and GSP) with being "great mentors." This will make for some interesting times if Jones beats Shogun to win the UFC LHW title. Rashad is a great trash-talker, and I have a funny feeling that the gloves will be coming off on both sides as the war of words heat up for their eventual showdown in the Octagon. Here's a video clip of Jones talking at yesterdays conference. The quote about Rashad and GSP being "amazing mentors" starts at the two minute mark. Jon Jones is happy to be fighting in his own backyard at UFC 128, and he talks about that and about Shogun "pooping" like he poops. Check out the video. New Jersey's Nick Lembo, who is Counsel to the NJSACB, and a seminal figure in the legalization and regulation of mixed martial arts nationally, gave a brief speech yesterday at the UFC press conference at Radio City Music Hall in NYC. There is no question that without Nick, MMA would not be as mainstream as it is today, and he is still one of the sport's foremost advocates. Here is a video of his speech. 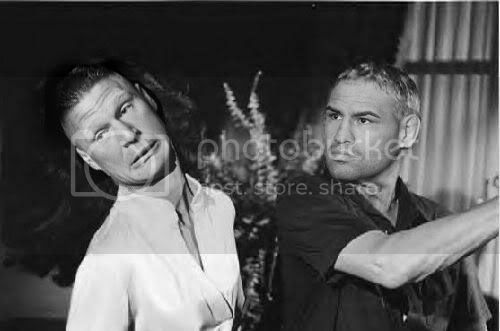 Here's a little musical tribute to Cain Velasquez, the UFC heavweight champ. 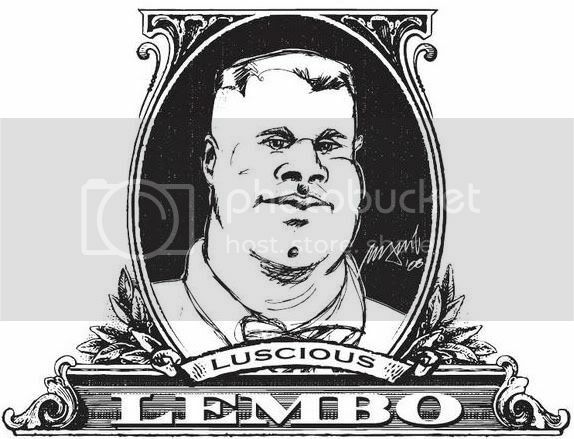 Photoshops by Inf0 and yours truly.